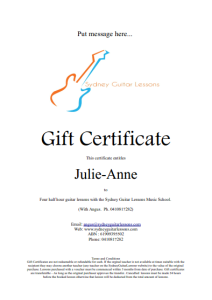 Gift certificates, cards and vouchers of guitar lessons as a present for that special someone. Christmas, birthdays, anniversaries, valentines and all special occasions. 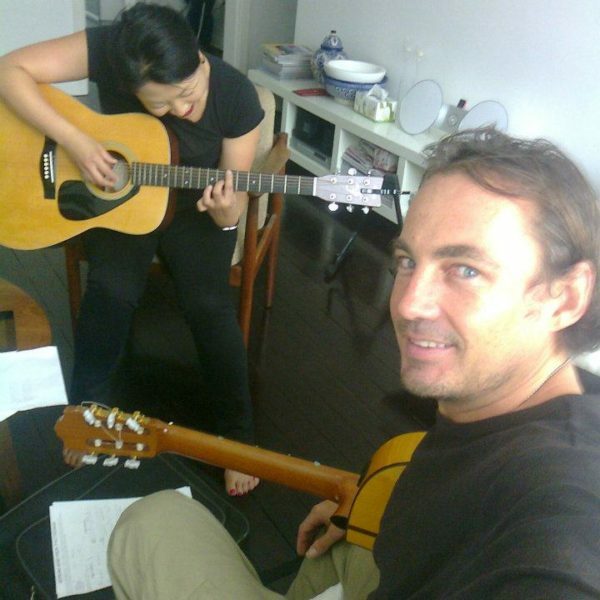 – Lessons will be in Angus’s Sydney Darlinghurst studio unless otherwise prearranged. – We can email you a certificate (PDF File) within minutes – perfect for those last minute gifts. – We can customise the certificate with names and messages. Please let us know any name/message that you would like on the voucher in the payment section. – Please feel free to contact us at anytime with any presale questions. For the last 6 months I have been taking lessons from Angus. I must say, I am very happy and satisfied with every lesson I had with him. I feel after every lesson I can definitely see improvements with my guitar skills. Even my husband (who is a tough critic) can see progress after every lesson! One of the best things about Angus is he lets me pick the songs I want to learn, therefore I will not get bored and give up on learning. He is very accommodating, especially with changing lesson times, which suits my lifestyle perfectly. I would highly recommend Angus, as he makes every session fun and he is also very knowledgeable. Angus is an incredible teacher! He really knows his stuff, and really tunes in (no pun intended) to where I’m at, and what I’m doing right/wrong. 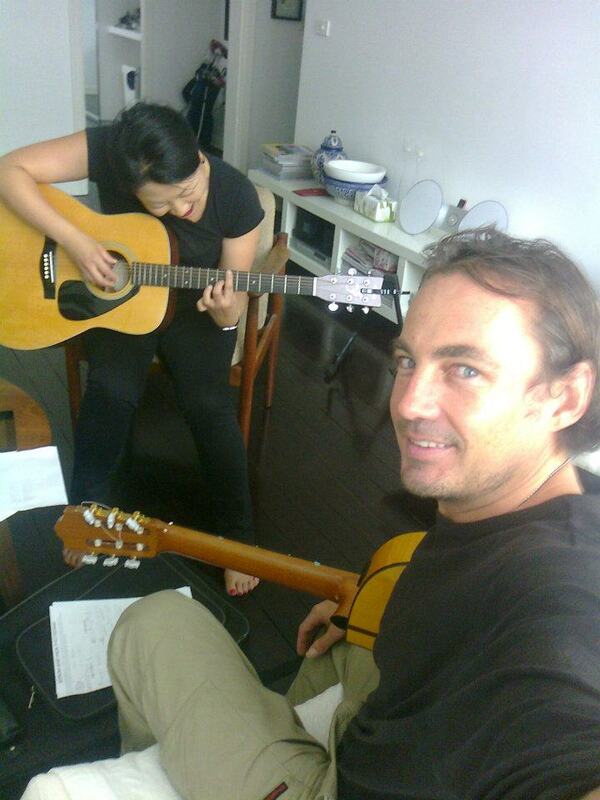 He’s really encouraging and super patient – will go over a tricky section of song with me again and again until I get it. I’m a beginner, so you can imagine how patient he is! Probably the best thing about his teaching style is he really understands exactly what will be the right level of difficulty for me, and how to push me beyond what I can already do. I think its really masterful for a teacher to be able to know how to stretch you so you actually improve, but not to the point where its too difficult and frustrating. He really hits this balance each time. I can’t recommend Angus highly enough! Angus is teaching my 12 year old son over skype, as we are 150km away from Angus. Angus came highly recommended, my son is not a beginner and we tried many tutors, none achieved what Angus has in 6 weeks!